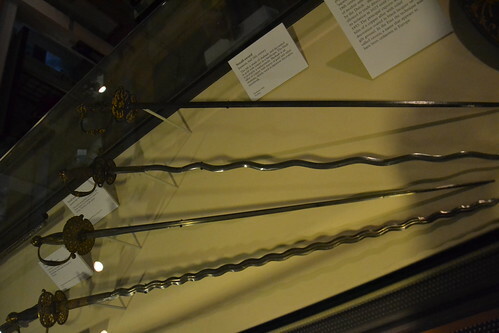 These are small swords, but made in Japan, apparently in the 18th century (while Japan was "closed"), for export to Europe. I found them to be quite interesting in the way they incorporate Japanese techniques but to an obvious Western design. I've seen other thins made purely for export, but I don't think I would have ever thought of western style swords being among the products being sent out of the country.